Chances are you’ve been searching for a review on the Shopify ninja Masterclass and landed on this page. 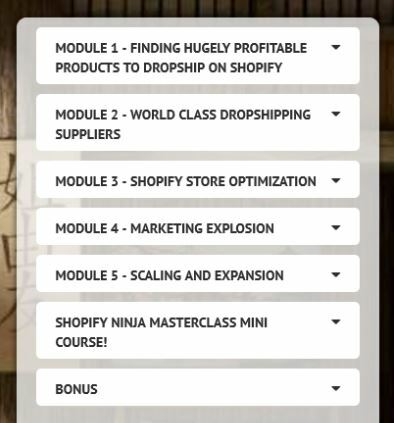 Whether you are new to drop shipping or just looking for a course that will help you make a successful store, here we are going to discuss Kevin David’s Shopify Ninja Masterclass course and decide if it’s for you or not. Initially when this course first came out it was over $2000. Now you are able to pick up the course at $997 or you can opt for the payment plan at three payments of $397. There are cheaper dropshipping courses which I’ll also provide as an option. Kevin David is a name you may have heard before and chances are you have seen his videos on YouTube. He is involved in several different verticals such as Facebook ads, drop shipping, Amazon FBA and is also involved in affiliate marketing courses. I purchased the course when it went down to $997.00 – not exactly a low-priced course. For those on a budget a course like eCom Elites would serve you well. Once you get access after your purchase, you’ll find a total of five modules and videos. When I compare this to ecom success academy for example and other courses with a higher price tag I kind of expect a lot more videos and modules. Having said that, the content is quite substantial. The videos are done well and thankfully are all in HD – anything less would be annoying. Kevin delivers his content in an easy to understand manner and it’s not soon that you know you’re dealing with a real professional. You’ll notice there is a bonus section as well which gets updated from time to time. The bonuses are ok, but if you’re savvy enough you’ll see that some have affiliate links for other products. This is ok if you need them, but I have to admit I am bothered by affiliate links within a product I bought. I get it though – he’s a marketer! The module starts out with Kevin on powerpoint telling you everything you’ll need to know and what to expect from the course. It’s a typical intro which is necessary both as inspiration and also prepares you for what’s ahead. The rest in the module are videos and it starts off with a video on how to choose your store niche. He also discusses the things you should avoid as a new dropshipper, saving you some costly mistakes new dropshippers make. The next video discusses something you may already be aware of – Aliexpress. This is where you will be getting all your supplies from, based in China. Most of the top guru’s recommend this resource, so it’s no wonder that Kevin does as well. In this video he discusses all you need to know as well as shows you the useful browser extensions that you should use to make things easier and less time consuming. Another video discusses how you can “snipe” the best stores and see what they are selling so you can do the same. Here he tells you how you can use Aliexpress to do this. For advanced users, you can use a tool called “Intelligynce” which is a paid option. More videos follow on how to find winning products. When I first started out on Shopify this was my biggest challenge – finding winning products. So this section is worth paying attention to. Finding these winning products is shown by using different websites and trade shows. Other platforms such as Amazon, the Shopify App store or also used for finding successful Shopify stores. Towards the end of the module you will learn how to use free tools in Google to find weekly winning products. I’m impressed with the amount of information so far in the way how this is presented. 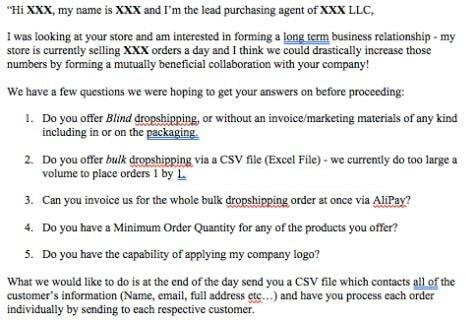 A topic that is avoided in most dropshipping courses is dealing with suppliers. Ninja Masterclass goes over this with Aliexpress. Alipay is discussed on how to use it properly which is a good idea as it can prevent you from getting banned when you start processing a lot of orders. This does happen with new dropshippers so it goes over how you can prevent this from happening to you in this module. Included is a video on how to deal with pricing when it comes to manufacturers and how to properly contact them. A script is provided which you can use for yourself to send to the suppliers. Also included is instruction that shows you how to obtain a sample from a supplier so you can test it before selling to your customers – great for a Youtube video review! If you’re new to Shopify and have never used their platform before then you will find this module beneficial. As for a theme, you want to avoid the free themes and get one that is fast and focuses on conversions. 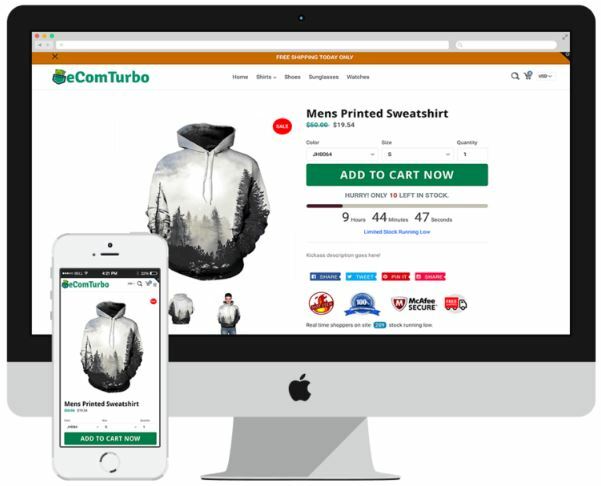 I highly recommend eCom Turbo which I have done a review on as well. You’ll save money on plugins with this theme because essentials ones are included with the theme, avoiding pesky montly dues which we all hate! If you’re going to go the route of a different theme then just watch the videos that Kevin has. There’s 15 of them and he goes through it all from starting a trial with Shopify to setting up Google Analytics, email optin forms, reviews, etc. If you’re going to spring for eCom Turbo, you can avoid this section and just follow along all the setup and optimization with the training that comes with the theme. Probably the most important module in any dropshipping course is how to drive traffic to your offer. 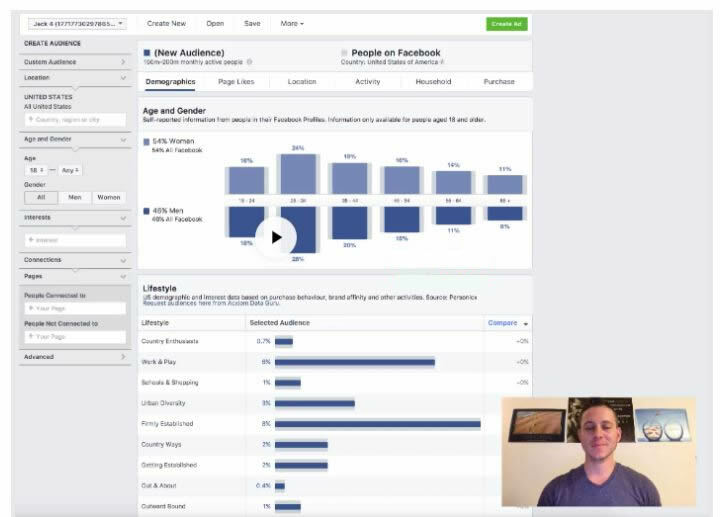 Kevin goes into a lot of detail with you guessed it – Facebook ads, which is the main focus of his course. You’ll also get a video on Facebook lingo. If you’re not familiar with the terms PPE, WE, ATC, etc., you’ll learn all about what these mean and why they are important. You’ll also learn how to understand proper marketing objectives and your ad’s lifecycles. Targeting is discussed in great detail and shows you how to properly target the people that are most likely to click on your ads. Although the Facebook section uses an out of date Facebook interface ( it constantly changes anyway) he does go into detail about how to do advanced targeting and how get social proof enabling you so save money on your ads with lower cost per click/engagement. If you are a beginner, you might be overwhelmed with this module because there is a lot of information to take in. Intermediates will have a greater understanding but Kevin makes it easy to understand and does a good job. I like the video where Kevin does a full campaign set up from scratch so you can follow along and understand the whole process. It’s a great video to refer back often if you need a refresher. Module 5 is all about scaling and expanding your store once you start seeing success. Some pretty good videos in here with some solid marketing methods. I’ve never used Snapchat before with eCom but Kevin walks you through on how to use it. Interesting stuff! You will also learn advanced reporting with Google analytics and how use it to your advantage. Also discussed is insights to see where your customers come from. Lookalike audiences are covered in the training. Here you will learn how to use these audiences along with your FB pixel to do retargeting for maximised sales. There’s much more in the FB module and don’t want to bore you with everything but I will tell you that it is quite advanced and will take some time to go through it. I’d suggest going over it at least 2 times and remember – take notes! Very popular with most “legit” courses these days is the Facebook Mastermind that’s free to join for all Shopify Ninja Masterclass students. Here you can interact with Kevin and likeminded students. It may not be for everyone but if you feel you could benefit from this kind of contact it’s there for you to get involved. I find these groups keep you motivated and reading other people’s success stories get you hyped. Although a bit pricey, I did find Shopify Ninja Masterclass informative, well laid out and with little fluff. Kevin is the real deal as he has a lot of respect in the Shopify community. Is there an Alternative to Shopify Ninja Masterclass? If you’re looking for an alternative that’s not as pricey, check out my review on eCom Elites. If I’ve convinced you that Kevin’s course is where it’s at, then you certainly won’t go wrong with picking it up today. 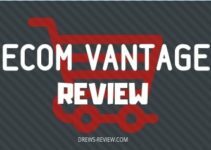 Ecom Vantage Review: Should You Buy Chris Blair’s Ecom Course? 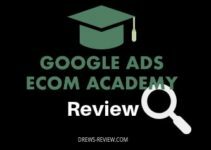 Google Ads Ecom Academy Review: Tristan Broughton’s Course Worth it? 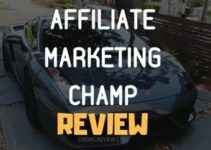 Affiliate Marketing Champ Review – ODI Productions Course – Scam or Not?